It’s fall in the Pacific Northwest now. Which means a season of baked fruit pies and spices and pumpkin spice scones and spices and more spices. Two of my favorite spices are cinnamon and nutmeg, and what goes better with cinnamon and nutmeg than apple? 1. Combine flour, baking powder, salt, cinnamon, and nutmeg. Whisk together until mixed well. 2. Add the vanilla bean paste to the half and half, whisk to mix, and set aside. 3. 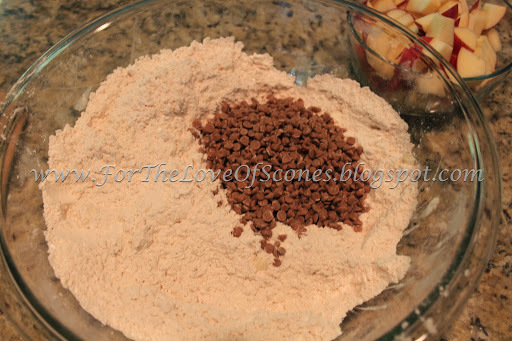 Add butter and work in with a pastry blender until the mixture resembles coarse sand. 4. Add cinnamon chips and mix with a wooden spoon. 5. 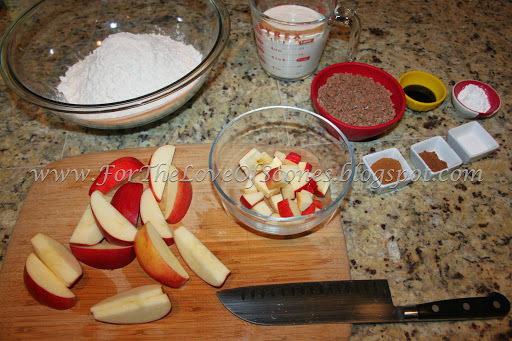 Add diced apples and mix with a wooden spoon until the apples are well coated. 6. Give the half-and-half and vanilla mix a stir to make sure the vanilla beans haven’t all fallen to the bottom, and drizzle over the dry mixture. Mix in well. The dough should be slightly sticky. 7. 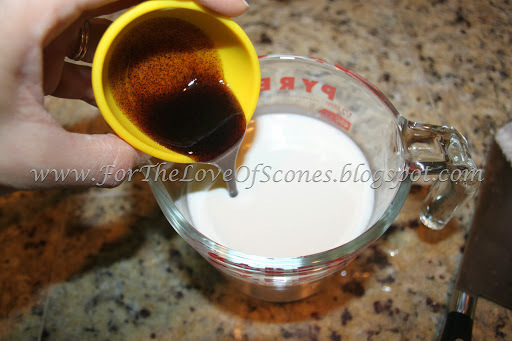 Using a 1/3-cup scoop, spray the scoop with oil and use to shape scones onto a parchment-lined baking sheet. 8. Makes about 18-20 scones. Bake at 425ºF for 12-15 minutes. I chopped my apples into rather large chunks, and chose not to peel them. If you so desired, you could peel the apples and cut into smaller pieces. 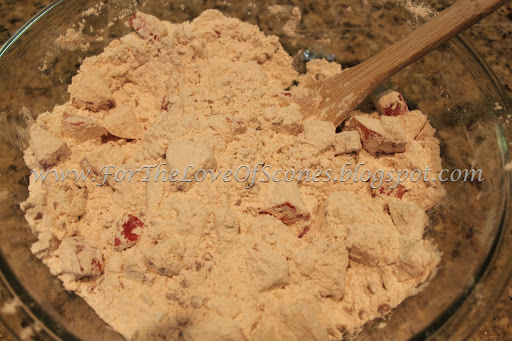 The larger the pieces, the more difficult it will be for the scone to stick together. Add the vanilla bean paste to the half-and-half (or buttermilk) and whisk to combine. 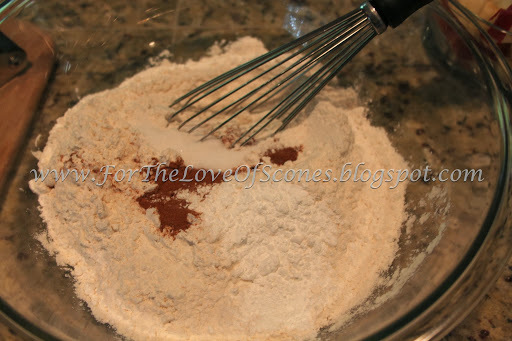 Mix the dry ingredients together and whisk to combine. 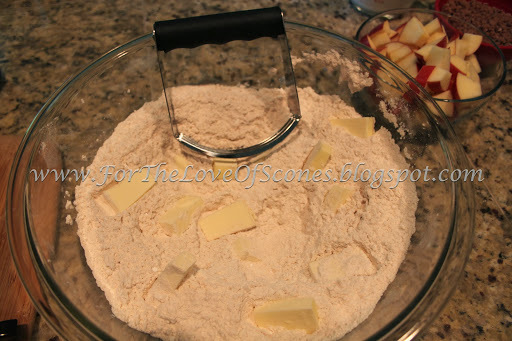 Add the chopped, unsalted butter to the dry ingredients and work in with a pastry blender. The mix can contain small chunks of butter. Add the cinnamon chips and mix. 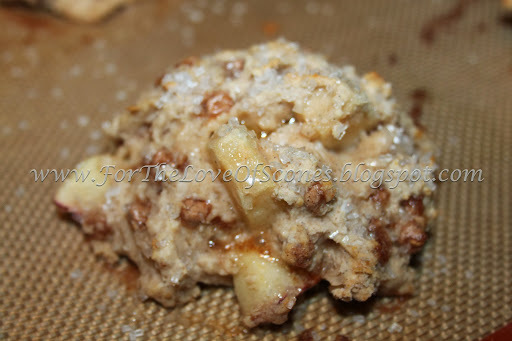 Add the apple and mix. 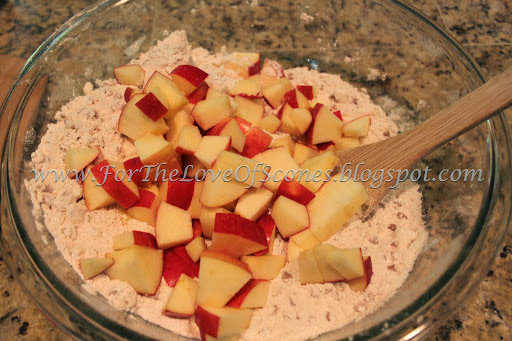 The apple should be coated with flour when mixed. 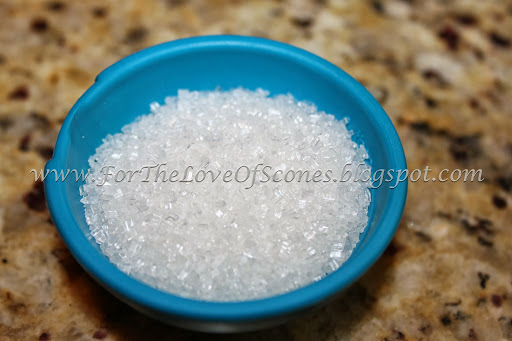 Coarse sugar for sprinkling–I used about 2 or 3 tablespoons for the entire recipe. 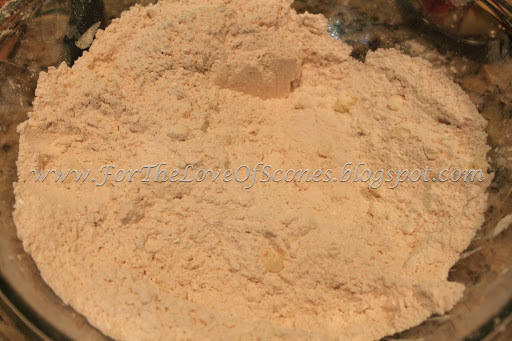 Sprinkle the scones with coarse sugar, as much or little as desired. Allow to cool for several minutes before enjoying. For not having any sugar in these besides the coarse sugar for sprinkling, I was surprised by the sweetness of these. (I admit, I forgot sugar the first time I made them, and it was such a pleasant surprise, I didn’t want to ruin the recipe by adding any.) 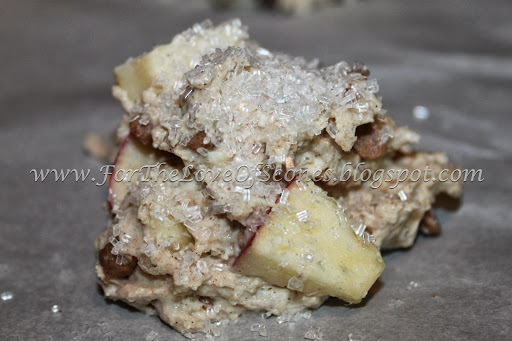 The cinnamon chips add a sweetness, and using Gala apples kept them sweet and moist. 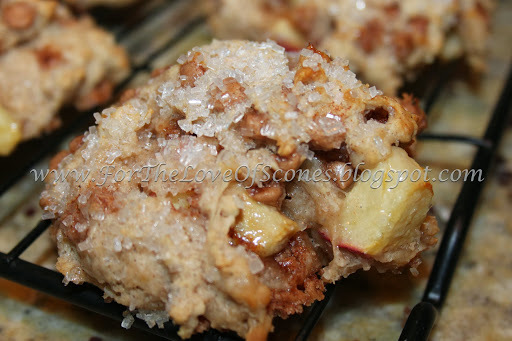 These are a wonderful, fall recipe which smelled and tasted divine. I had to fight to eat only one during my taste-testing.